The largest and most obvious promotion to the social media savvy attendees was DC’s Foursquare promotion. 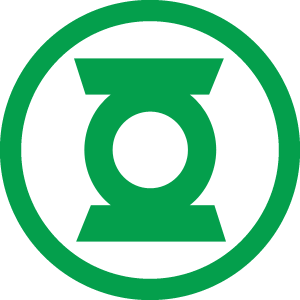 By checking into the New York Comic Con on Foursquare, attendees received a Green Lantern badge that told the badge recipient to visit the DC booth for a special surprise. Presenting the badge to someone at the booth had a gentleman slip the individual a Green Lantern ring. Receiving the ring felt like purchasing illicit drugs because they obviously didn’t want to give them out to everyone at the con, but those who would see those of us with Foursquare would inquire how to get them, to which they were told to recite the Green Lantern oath (which people either chose not to do or could not do while I was at the booth). I can’t say how many people went to the DC booth to receive their “surprise,” but I can’t imagine it drew any additional people to their booth, since the main draws in that part of the room were Marvel and DC, but I felt that Marvel’s non-social media pin scavenger hunt was far more effective in getting people to visit the different Marvel properties than the DC promotion. The second social media promotion I engaged in was Graphic.ly’s Foursquare promotion. 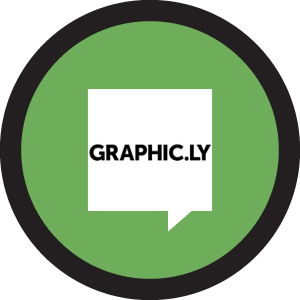 By checking in to assorted places around New York City that are either comic book related or a location of a major comic book event that Graphic.ly left a tip at then checking in to the New York Comic Con, the Graphic.ly badge was unlocked. Bringing this badge to the Graphic.ly table would then be rewarded with a free t-shirt. As everyone loves free stuff, I was told that the t-shirts were mostly gone by Sunday afternoon, but I don’t know if it was through the Foursquare promotion or any other ways they were giving them out. I had known about the promotion ahead of time, but I don’t know how hard they made it to find out about their promotion at the convention or how many people cheated (like me) and checked into places like Midtown Comics and the Brooklyn Bridge from the con just to unlock the badge. Rockstar Games is undeniably one of the biggest video game companies out there, so when approaching their booth to promote Red Dead Redemption Undead Nightmare there was a sign to Twitpic the booth, check into the Rockstar booth on Foursquare or join the Facebook fan page. With the weak cellular signals in the convention center, it was hard enough to get online, but I opted to Twitpic the booth via email, which would post eventually (and got a “: )” from a friend who works for Rockstar in response). In return, I received a deck of Red Dead Redemption playing cards. To me, this was the most effective of the social media promotions because it would share with the greatest number of networks and have the largest potential reach. Of course, by being the most public with their promotion, the less tech savvy had to figure out how to do these things from the convention floor, like the girl we had to explain how to install a Twitter client on her phone and how to use it to send a picture. While there were other social media promotions, like Animal Planet’s tweet a picture of the Yeti, these appeared to be the most engaging, to varying degrees of response. It is hard to gauge how effective these promotions really were, but by keeping their promotions hidden within the social media apps, Graphic.ly and DC seemed to only appeal to the small subset of people who checked into the con, which purports to have almost 100,000 attendees and under 500 people checked in on Foursquare whenever I looked. On the other hand, by having signs out and multiple points of entry and promotion, Rockstar had the greatest reach, which would appear across multiple platforms.